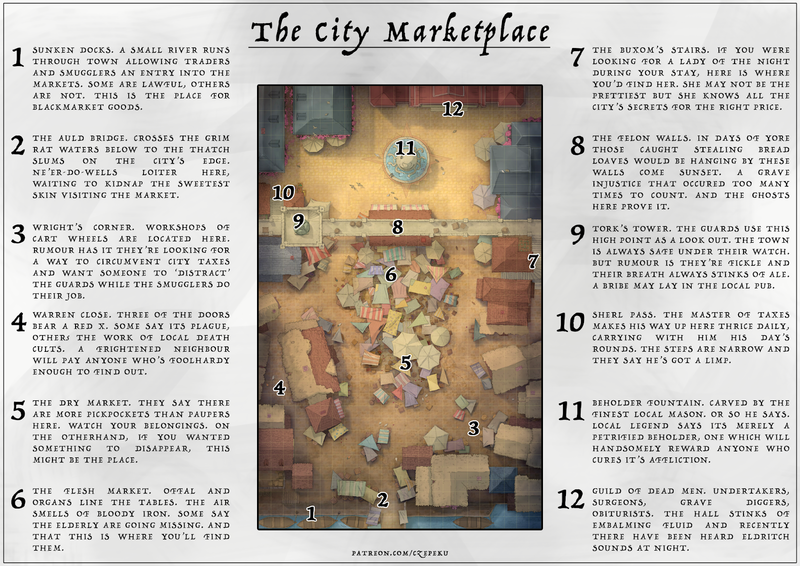 Me and Peku made a map last week set in a European style city marketplace (see maps link on the righthand column). I figured it'd be fun to write up some quest/plot ideas and related rumours for anyone who wants some ideas running a campaign in a similar setting. The file below is A4 sized and thus printable if it's of use to you. Use/distribute freely. There may be more in future. Let me know what you think. Perhaps a guard schedule or a Things In The Market roll table could be added. We'll see. For our campaign setting Insidious Echoes we're tinkering with a system that would be without levels and XP. Or at least that would be a variation on play (from whichever system you usually partake). This would revolve around a system of mutations in various forms. You wouldn't choose the mutation you want, it would be inflicted upon you. But you would have the possibility to get it removed. The mutations would be semi-permanent, sitting somewhere between permanent levels (like in DnD/Pathfinder) and temporary equipment-as-level type systems. This would allow players to switch up gameplay style through having mutations cured/removed but not so easily swapped out as simply changing weapons and armour. What Forms of Mutations are There? We see mutations generally as affectors giving your player ability score advantages/disadvantages and also physical changes, for example extra limbs or scales. These could come from bacterial or viral infections, fungal spores, parasites, radiation, technological augmentation and nanobot infestations. Where Do Mutations Come From? We're splitting up mutations between different biomes/dungeons/towns as well as mutations inflicted by certain monsters. Monsters may carry diseases with them infecting players on touch or when swallowed/sprayed with blood. Similarly, certain foods, water or merely spores in the air will mutate players when they are susceptible, for example due to wounds or illness. How Are Mutations Removed? Mutations will be removable by certain surgeons, witchdoctors, clerics, pharmacists and other dubious jungle-dwelling inhabitants with spare scalpels. Some mutations are surface deep, extra hair and skin or growths, others affect the deep organs. These come at a much greater risk when being removed. The correct tools, salves and ointments would help offset this danger. Each type of mutation (e.g. fungal, viral, parasite) would be removed differently/at different cost. What Do Mutations Cost? Other than obvious drawbacks like ability score or encumberment loses, multiple mutations would come with nutrition costs, forcing your player to eat more often to stay alive. This'll make those deep dungeon dives even more difficult and rations more important. Sun Blight. Waxy welts appear across your face, neck and back. You no longer burn in the harsh sun but you're more likely to bleed out when struck. Nail Skin. For 1d6 days you're stuck in agony as nail-like extrusions grow from the skin around your shoulders, knees and wrists (like they do from the ends of your fingers) but overlapping as if into plate armour. For 1d6 days you're more likely to fumble when attacking, running or jumping. After that you now have a higher natural armour score around your shoulders. knees and wrists. Sac Pox. When submerged in water, small sacks lining your skin inflate causing you to float. You now can float with ease on water but cannot dive. Gorgonbane. Your palms are as cool as anyone else's but stone melts under your touch. Wood, paper, glass, no other material is affected. Just stone. Desertscalp. You awake hairless atop your head, but your body hair begins to grow prolifically and in places it never did before. Tremour. Muscle growth is as if on steroids. Your legs bulk out in days and your ability to run is greatly increased. But you shake uncontrollably. Accuracy with a ranged weapon is almost impossible. Curlfinger. Unless constantly worked at your fingers begin to seize-up into a tight fist. If you grip anything for longer than 2d20 minutes your cannot release it again. Krykkit. Whenever motionless your create a chirping noise. Bouldershoulder. The muscles in your shoulder grow an extra 3d100 cm in diameter (+ Str). Your swing may be faster and harder now but you struggle to wear any non-custom made armour and have difficulty sleeping at night. 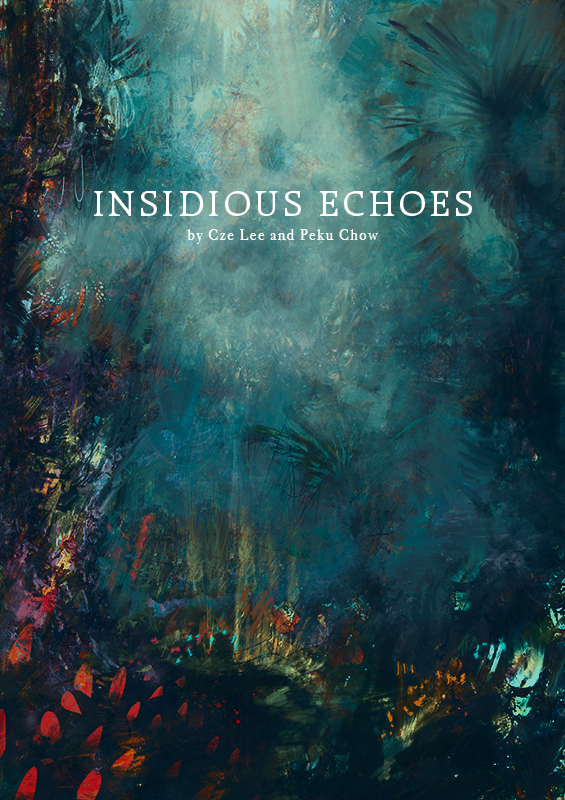 Sometime during mid-2018 me and my partner Peku began working on an RPG we called Insidious Echoes. The plot revolved around a planet used as a research and science colony that one day was inexplicably cut off from the rest of humanity and it’s former space network. 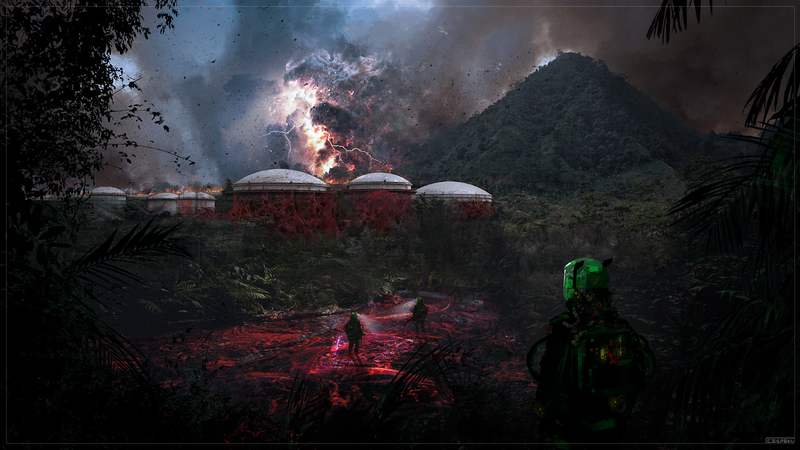 The sudden cessation of supplies wiped out most of the scientist-colonists. Electricity ceased to function and with it most of the security keeping the hostile and virulent planet out of the compounds. It also severed connections between the different compounds and outpost labs, each one now an island in the dark of a dangerous planet. As years pass the idea of rescue or help or information of any kind is slowly abandoned. Rations run low, most machines are inoperable due to neglect, rust, dust and pathological spores. It’s your job to survive, any way you can. 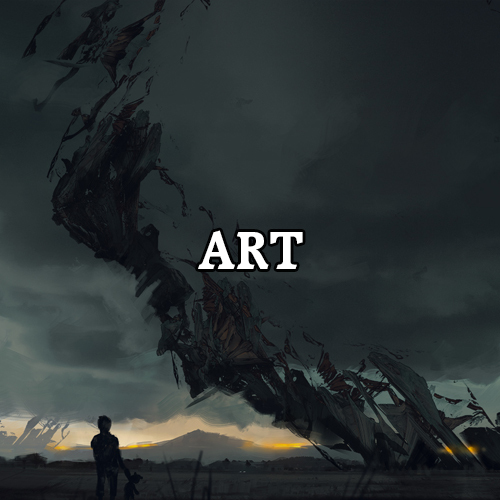 As the months went on we started getting worn down not only world building but also coming up with an equally thematic RPG system to explore that world with. 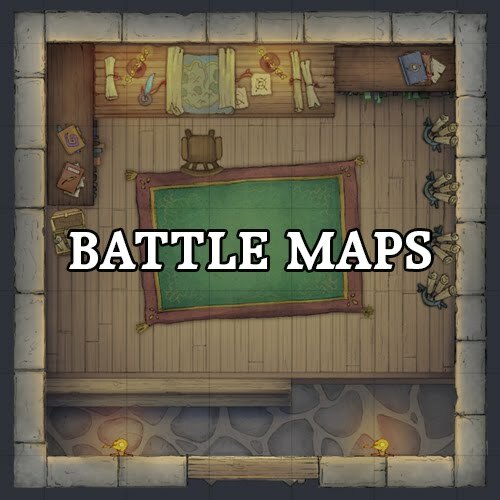 We wanted to mix a randomized point-crawl with tile based combat, heavy on strategy, light on the narrative side. We hoped to keep the adventure interesting through random events and a novel leveling system revolving around mutations. But in truth it was a lot to balance and we didn’t really know what we were doing. We came up with complex card systems to fuel that system instead of focusing on what made the world unique and fun and working around that. We ended up with a premise that was too vast for us to complete. But now I've discovered the OSR and the idea of standalone systemless campaign settings, I’m beginning to look at it system agnostically. 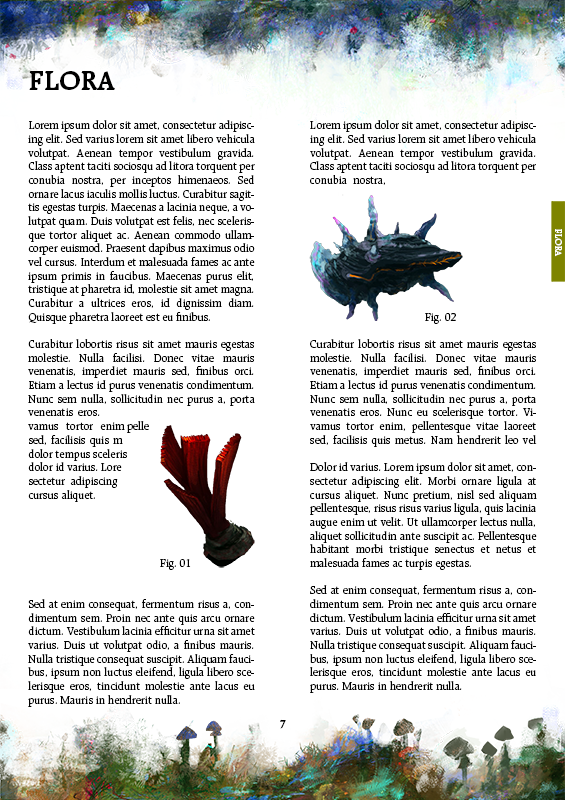 Laying out the biomes, the creatures, the flora, the events that’d occur with each. The dangers and feel of the world, what to expect and plan for, but not rewriting a combat system or leveling curve or anything like that. Hot Springs Island is a huge inspiration for sure. I plan to post some writing and roll table excerpts soon. 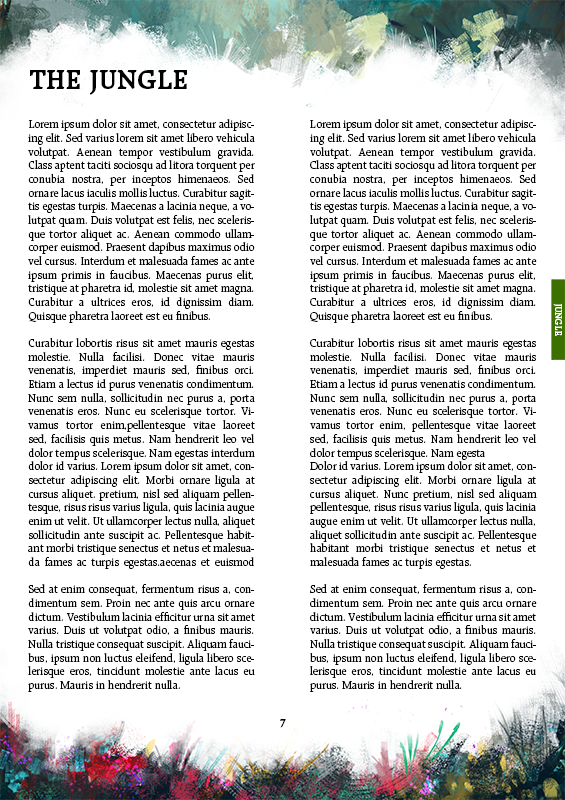 For now though I've attached some lorum ipsum-addled page designs i’m playing with in PS as well as the first cover design idea. Trying to capture that moody feeling of verdancy and the unknowable. 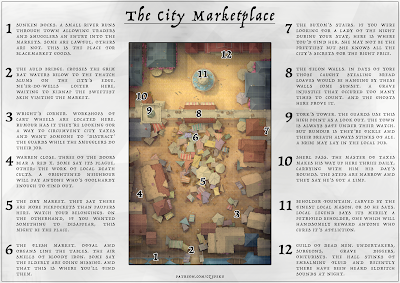 I’m a concept artist, an illustrator and a map maker (and maybe a writer). For the longest time I’ve enjoyed world building. In fact, other than video games it’s probably be the only consistent hobby I’ve maintained since childhood. But i never really knew what to do with the worlds I crafted. I always wanted those worlds to come alive in some way, to be interacted with by others, but never really knew the medium or platform. To cut a long story short, one that dabbles between writing, illustrating and coding, I have recently found out about the OSR. And DIY DnD. And other various, similarly related niches under different names. And it’s something i’ve been looking for, without knowing it, for years. This has definitely been an adventure of opening 10 tabs for each one I close for about a month now and I’m sure i’m only just scratching the surface. I’ve always wanted to make RPGs (see my work on the Insidious Echoes project) but system design and balance was never the focus for me. Creating interesting, living, breathing worlds, that was what hooked me. Diverse and idiosyncratic niches that I couldn’t find elsewhere, that was what I wanted to offer. 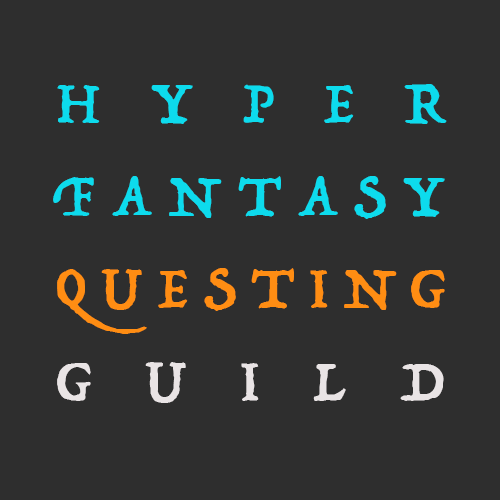 And for me, that’s what the OSR seems to be all about, small indie modules of microverses and pocket dimensions, plug in races and miniature one-shot campaign settings. With the levels of character, panache and weird that you’d never find in big published titles. And as great as all that’s been, I can’t help but feel like I’m discovering the tail end of something great. The OSR seems like it reached a zenith built around a G+ group that’s now disbanding along with the platform itself, at around the same time that a key member of the movement has been ostracized. It’s not my place to comment on that but the OSR Kingdom definitely appears encircled by dark clouds. Some blog posts (like this one) seem positive though and I’ve seen almost one new hi-quality release per week since discovering the OSR. Hydra Press, UVG, Gauntlet, RPG Zines, lots of cool releases being pumped out. A post by Questing Beast (see here) on the return to the blog realm made me think it was my time to join in. It seems time to brush off all my ideas and order them in such a way that they can be shared and discussed. The rest of this blog will be about that journey, sharing my thoughts, plots, campaigns and settings. 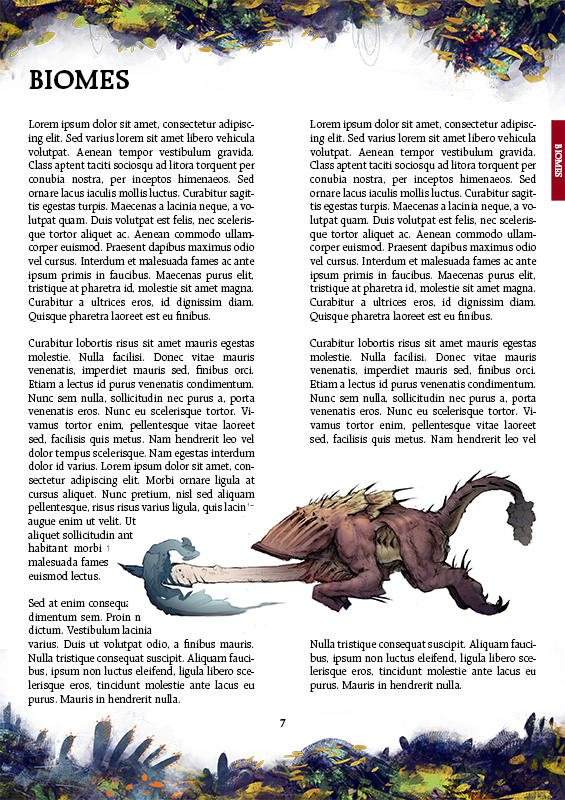 For anyone else new to the OSR, this updated news post by Dreams of Mythic Fantasy is a good place to keep updated on new stuff coming out. And basically mining your way through any of the blogs above and the blogs they link to and so on will inevitably lead you to some gold.